To provide our clients with the best legal advice and the highest quality of service possible. Legal Excellence. Our lawyers and professional staff are dedicated to providing the highest quality legal advice. Our restricted practice areas allow us to put an absolute focus on being experts in our fields, and producing a superior work product. Many of our lawyers frequently publish and lecture on cross-border legal matters. Client Service. We understand that the practice of law is a service business, and know what it takes to meet and exceed client expectations for superior work and responsive service. The benefit of being a boutique law firm is that we can provide personalized service while maintaining the highest standards of excellence and integrity. Our lawyers take great pride in being accessible, efficient, responsive and technologically sophisticated. Personal Commitment. Our lawyers and professional staff are as motivated as they are passionate and caring. 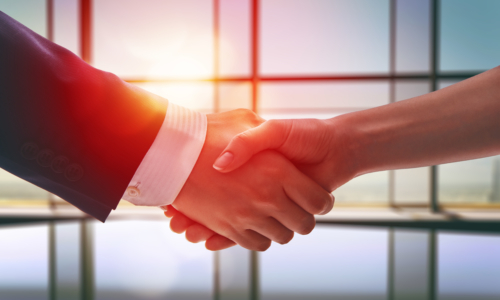 We recognize that working with a lawyer is a personal relationship built on trust. We offer an unmatched “ownership” over solving legal issues and problems, and this produces clients that our deeply loyal to our firm. Our lawyers’ level of personal commitment is shared by our professional staff, who bring tremendous knowledge, pride and enthusiasm to their work. Communication. We offer clients unparalleled access to our lawyers and staff through a team approach to client representation and service. This unique service model means that each client has access to two partners and one law clerk on any legal matter, ensuring prompt responses and easy communication. Coupled with our use of technology to facilitate real-time case status updates, our commitment to communication allows us to enhance client service and achieve successful results sooner. Cost-effective Solutions. Our focused expertise allows us to provide clients with exceptional value when providing legal services. When solving legal issues, we strive for efficient and practical solutions. Our law firm can normally work with a client to establish a flat fee quote in advance of starting a file. This provides our clients with transparency as to the expected fees, cost certainty and exceptional value.